Through the areas of topic work covered in each class, children will be encouraged to plan, make and evaluate particular artefacts and systems. 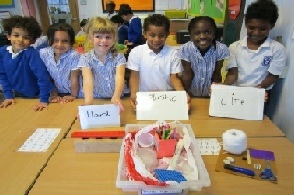 In the Infants this would include building models using scrap materials moving on to the use of wood, plastic, motors etc. in the Junior department.